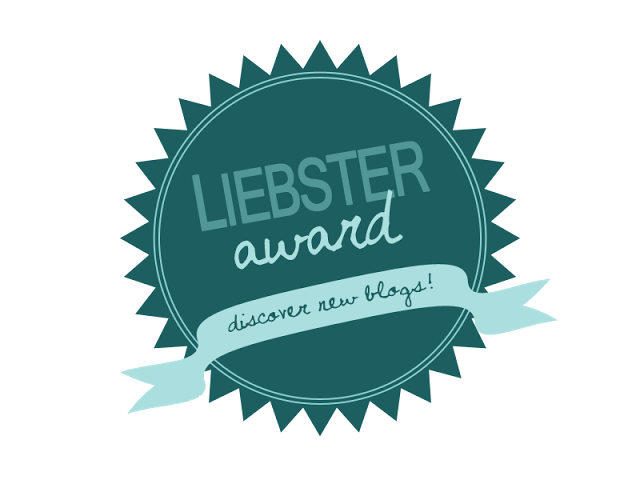 I am excited to announce that I have been nominated for the Liebster Award by Lori at Writing My Story! 2. Answer the 11 questions created by the person who nominated you, then create your own set for the people you are nominating. 3. Choose 11 people (that have under 200 followers) to nominate and link them to your post. 4. Let the people you nominated know they've been tagged. No tag backs! 1. I have danced since the age of two and I still take some classes and perform every now and then as well as teach a couple nights a week. 2. I live in Saskatchewan, Canada. 4. 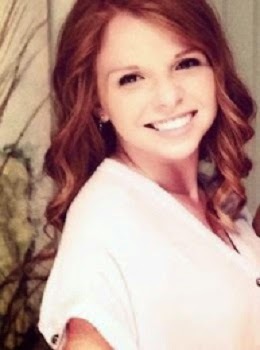 I am a natural redhead. 5. My younger brother has Autism. (If you'd like to learn about Autism, you could start by checking out Autism Services Saskatoon, they have lots of information and are a good starting-off point). 6. I love to travel. 7. I really enjoy organization and planning/scheduling. 8. I really like makeup and I do makeup for weddings and events as a hobby on the side. I wouldn't be opposed to doing it more professionally, but it's just not where I'm at right now. 9. I love books and reading, but I always have too many sitting around waiting for me to read - I have a terrible habit of buying books when I still haven't read others at home. 10. I have a degree in psychology. 11. I love learning and I really want to go back to school (and I still might!) - I wish I could be a university student forever. 1. What are your top five favourite songs? 2. What is one thing you couldn't live without? - Prayer. Faith wasn't always important to me, but something so simple as prayer has the power to do extraordinary things. 3. What are your favourite kind of posts to write? - Adventure posts! Anything from a visit to a cafe to traveling through Europe. I love sharing about going. - I usually just use my iPhone 4S, but I also have a red Canon PowerShot ELPH300 HS (which I managed to purchase for about $40 CAD because I had saved up a crazy amount of Shoppers Optimum Points - yay Canada!). - Through everyday life; the words I hear, the things I see, the thoughts I have... I love taking time to notice and appreciate the beauty in the simple things and moments around me. 6. What is your favourite thing about blogging? - I love that, by the simple act of putting my thoughts into words through my blog, I can connect with people all over the world who share similar ideas, passions, and thoughts. - Oh, this is a tough one! As a child, I loved Abel's Island by William Steig and my enduring favourite would have to be Jane Eyre by Charlotte Bronte. It took me so long to decide on an answer for this question, I am clearly going to have to write a post about my favourite books! 8. Which blogs do you check daily? - I have a whole bunch in my blogger and bloglovin' accounts that I click on pretty regularly, but those two are the ones I will check even without the convenience of clicking a link (Type in the url? What?!). I also really enjoy finding blog posts that I like and seeing the other bloggers that commented on them and checking out their blogs. 9. What is the best piece of advice anyone has ever given you? - Never be afraid to be the person that loves the most. 10. Do you prefer heels or flats? - I'd have to say I prefer heels, but well-constructed ones. I'm not sure if this is my actual preference, though, because I cannot wear heels to work and it might just be a novelty to me at the moment. 11. What is your funniest memory? - I actually can't think of anything specific, but all that comes to mind is time spent with my cousin, Kathleen. We always end up laughing so hard our faces and stomachs hurt. Quite often it's after having had a silly fight (#likesisters) or about a ridiculous inside joke. Together we can find absolutely anything hilarious. 1. If you could travel anywhere, no limitations, where would you go? 2. What are three of your passions? 3. As you're laying in bed before falling asleep, what do you like to think about? 4. In terms of fashion, what particular style, item, cut, or colour is totally "you?" (For example: bow headbands for Blair Waldorf in the beginning of Gossip Girl, the slouchy bohemian style of the Olsen Twins, and Audrey Hepburn's little black dresses and large sunglasses). 5. What are your top ten favourite songs? 7. What are your top five favourite books? 11. What inspired you to start your blog? Thanks so much to Lori for nominating me! I am such a terrible dancer I really admire people who are able to cultivate that ability. I did cheer and gymnastics growing up and I was constantly struggling with the dance aspects...two left feet, eek! I agree with you on wanting to stay in University forever, I love taking new classes and learning new things and notetaking...ooh la la! I did cheer in high school and definitely appreciated my years of dance for helping me out! Thanks so much! I enjoyed sharing it all. I'm excited to see your answers! Thanks! The further I get from being a student, the more I feel I idealize it... There were definitely some tough moments but I still think the perks outweigh the negatives! I'll definitely check it out, thanks for the follow!